Refiners in South Korea, a U.S. ally as well as one of Iran’s largest customers, are shunning a type of oil known as condensate from the Islamic Republic to feed the nation’s petrochemical plants, and instead buying unusually large amounts of a processed fuel known as naphtha from elsewhere. SK Innovation Co., the Asian country’s top processor, Hanwha Total Petrochemical Co. and Hyundai Oilbank Co. have all rushed to procure supply for the next two months. While the U.S. and buyers of Iranian crude are yet to decide on potential limits to purchases from the Middle East nation, South Korea’s preemptive move signals the widespread shifts in trading strategies that the American sanctions may spur in the oil market. If condensate cargoes are restricted by the measures, that would be a “disaster” for Asia as importers in the region would be affected the most, industry consultant FGE said last month. “The South Koreans are currently faced with tighter supplies of condensate from other sources outside Iran, and this has forced them to turn to naphtha as an alternative and replacement to South Pars cargoes,” Den Syahril, an analyst at FGE in Singapore, said on Wednesday. 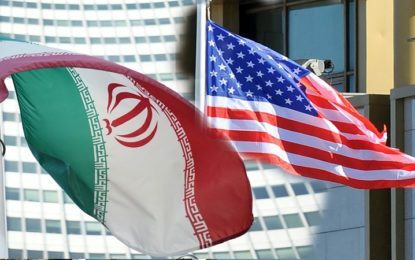 Refiners in South Korea will make a final decision on whether to buy Iran’s South Pars condensate for the third quarter only after negotiations between their government and U.S. President Donald Trump’s administration are completed, people with knowledge of the matter said earlier this month. Meanwhile, they haven’t bought supplies for July. What they are buying is naphtha, and a lot of it. The oil product is key to the production of petrochemicals used to make a wide range of consumer products. While normally it would have been produced by feeding condensate into units known as splitters, the decision to hold off purchases of South Pars supply is spurring companies to buy the fuel directly from other suppliers. South Korea’s Hanwha Total almost tripled its naphtha purchases to fourteen cargoes in July from five in February, according to traders who asked not to be identified and data compiled by Bloomberg. Meanwhile, Hyundai Oilbank was said to have bought a cargo for August when it usually doesn’t buy any of the product. SK bought at least eight cargoes for July and August delivery. Heavy full-range naphtha premiums have risen since Trump last month announced that sanctions against Iran will be reimposed, according to data compiled by Bloomberg. Hanwha Total paid about $9 a metric ton over Japanese benchmark prices for first-half June cargoes bought in April, while the most-recently bought August cargoes were purchased at a $17 premium. South Korea must source 7 million barrels of alternative condensate or 3.5 million barrels of naphtha next month if it needs to replace Iranian South Pars supply, according to a June 19 report from Energy Aspects Ltd. Increased naphtha buying activity in July by South Korean refiners will likely continue in August, said Nevyn Nah, an analyst at the industry consultant in Singapore.